Process the chickpeas with a food processor, add the water, until a paste is obtained, but not mushy and holds itself together (you can also use a mincer/grinder, repeat the process 2-3 times). In a bowl, mix all the ingredients by hand until smooth and uniform. Refrigerate for at least an hour. With wet hands form balls (or patties) the size of a walnut and press them well. Cover them with sesame seeds and fry on both sides, in hot oil, until brown (3-4 minutes on each side). Fry first one piece, if it won’t hold together, add more flour to the mixture and try again. 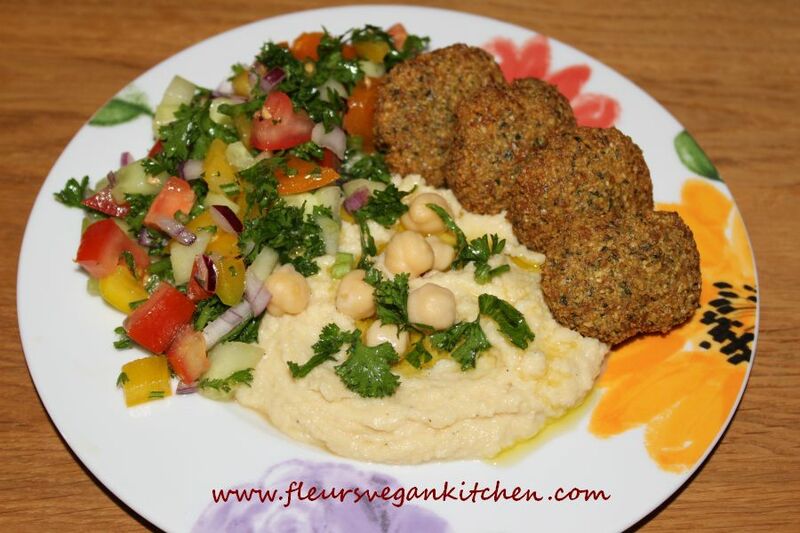 Serve hot with hummus , pita bread, tahini sauce and mix salad/pickles. Creat de: fleur laWednesday September 13th, 2017.la08:40 AM.